Well folks, I am here to say farewell. 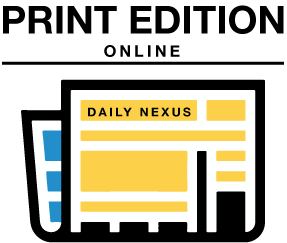 It has been four years here and I’ve been working at the Daily Nexus for the last two, and I am really glad I got to work here. I have decided that the best way to say “bye” is to say thank you to all the people who I have worked with these last couple years, so here it goes. My editors are definitely on the top of that list of people to thank, so thank you Paul-Michael and Kristen. You guys have been awesome all year. Thanks for letting me cover such great sports and for working with me over the year. Hopefully I wasn’t too much of a pain for anyone. Also, to everyone at the Nexus who I don’t have usual contact with but make this whole thing function: thank you so much! I wish I would have gotten to know you all so this was more meaningful, but, sincerely, thanks. I also know I have to give a huge thank you to each and every person that I have worked with in each sport I have covered. I appreciate it each and every time you guys are willing to speak with me. This year, I was the regular sportswriter for women’s volleyball and men’s baseball and, to be honest, I was always worried if talking to me would jinx the team or player because I’m superstitious like that, so hopefully none of you are like that and hated talking to me. I also hope I never bothered anybody too much; if I did and you actually end up reading this, I’m sorry. In volleyball, I have to again say thank you to Head Coach Kathy Gregory because she made covering her team a really great experience. For anyone who has never met or talked to Kathy Gregory, you’re really missing out because she is downright awesome. So thanks, Kathy; you made me feel very comfortable each and every time I interviewed you and you really helped me out a lot and it is always appreciated. Covering baseball this year has been a blast. It is far and away my favorite sport and so getting to follow the team and create a rapport with those guys has been really cool. I’m glad their season has gone so well because it has sure made my job much easier. After one game, I spoke with Head Coach Andrew Checketts and apologized for being his third post-game interview. He assured me it was always fine to give multiple interviews after they won. As any sportswriter will tell you, it is always the best-case scenario to talk with the team after a win. I’m always sitting there hoping that the Gauchos win because it will make everyone more willing to talk about the game. I always feel weird asking people after a loss about the game; no one is happy about that, not even me, and I’m supposed to be unbiased. That being said, thanks Coach Checketts a ton for taking my calls and speaking with me post-game after wins and losses. Thankfully there were more wins this year and hopefully they keep on coming. Also, thank you to all the players I have called for previews and recaps for taking time out of your day to talk to me. I really do appreciate that. Now I feel like I need to say bye to the school in general. It’s a common saying that time flies by when you’re having fun and man, that could not be truer at this school. I’m almost sad I’m getting out of here after four years because there is just no way I will live like this again. I am afraid my life has peaked in my early 20s. 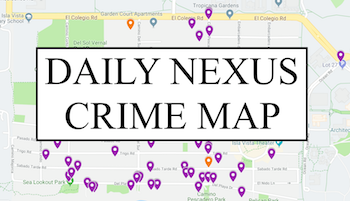 What place and people are cooler than Isla Vista? To anyone that will be coming back, I am a little jealous of you and I hope you enjoy yourselves. To the sports teams, players and coaches that I have worked with, if you even read this, again thank you so much and best of luck to each and every one of you; I mean it. I am kind of bummed I won’t be here with the Nexus to follow the success of these teams, but I know they are going to only get better, so everyone go support! Seriously, these games are so fun and we are so good, you’ll have a good time, trust me. Also I would like to thank any of my readers. I have no idea if people follow what I do or not, but if you are out there, thanks for reading what I have to say; that’s really cool of you. Also, hi Mom! She reads my stuff online.